Here I am vissualising the ring over view to better show and understand the ring layout. I have taken the idea from no7 of the last post with having multiple objects on the rings. Here Is the representation on no7 from the post before. 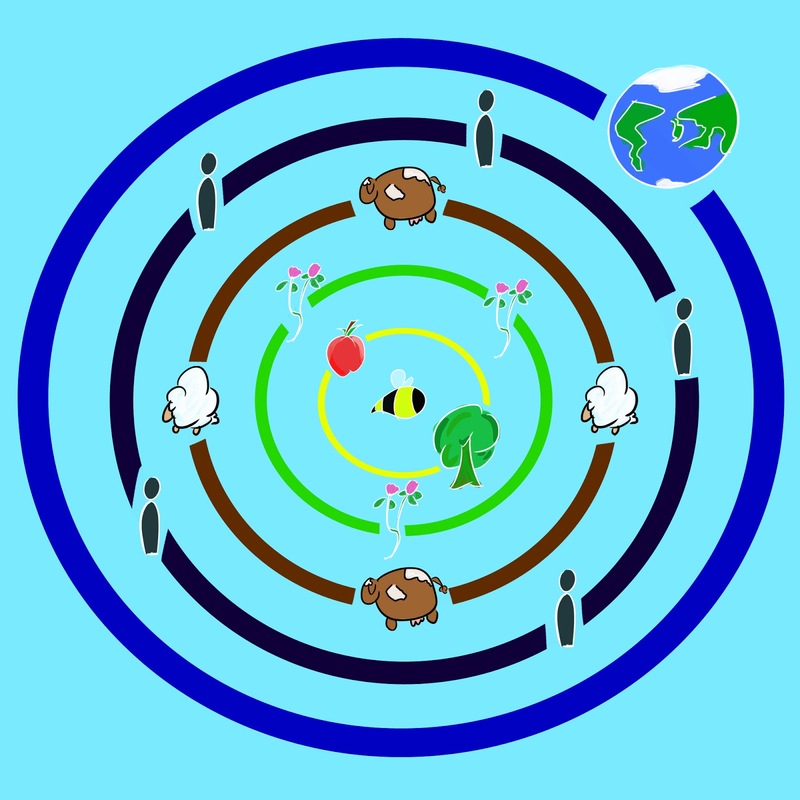 Here I have moved things around so that the plants and crops are on one ring and the food is all on another. Here I have pulled back a little from having so many object on each ring. 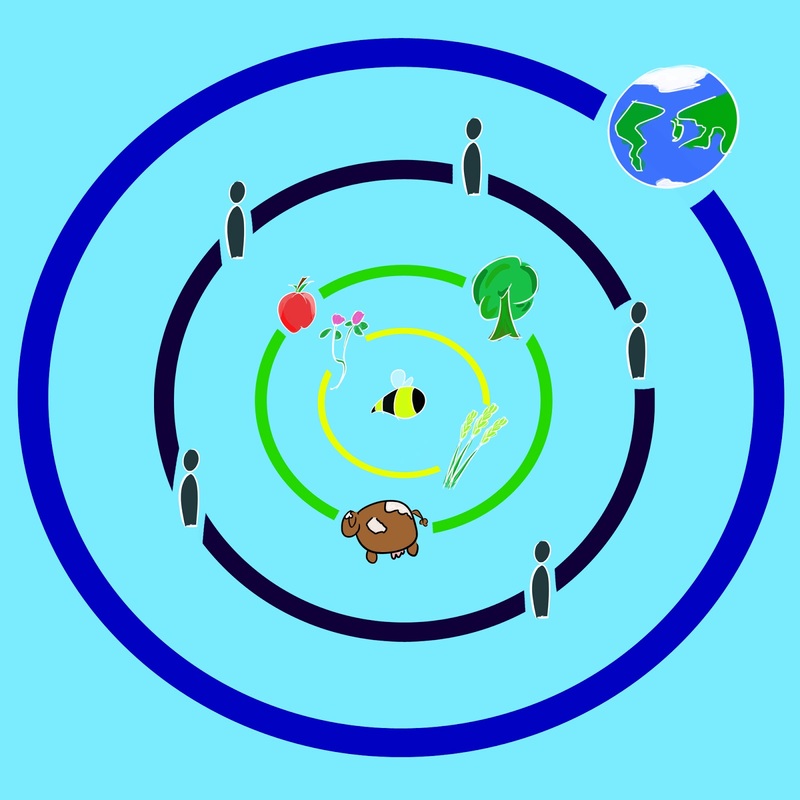 Here I was thinking of having two on each ring so it would make two lines when they all line up; one line would be how it effects crops, which in turn, effect our fruit/veg and then to man. 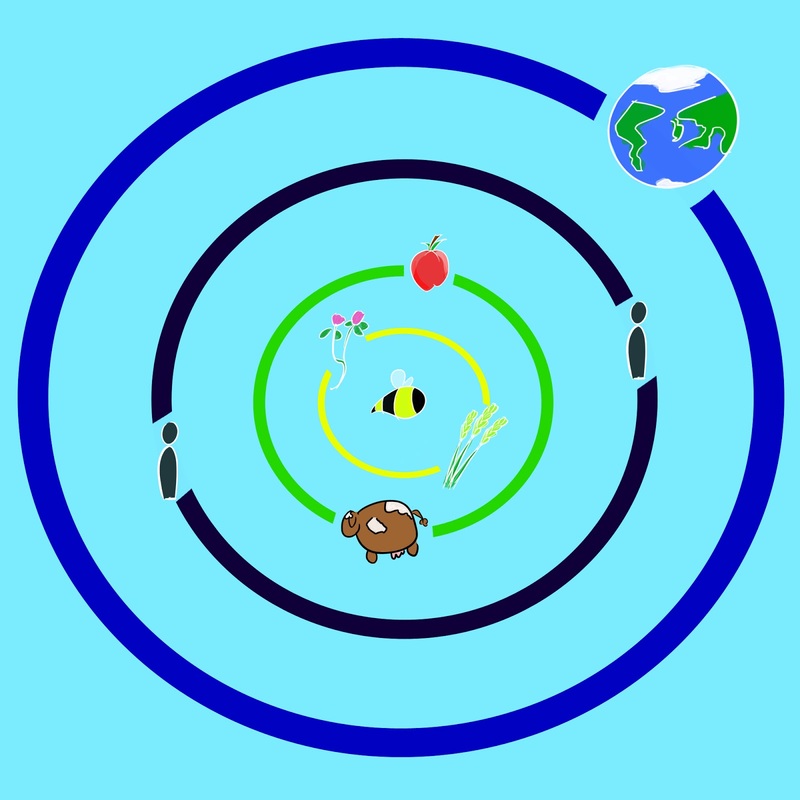 The other shows how it effects plats and then, the animals that eat the plants and then once again to man. This with the single globe which would move from line to line.